Book & CD. 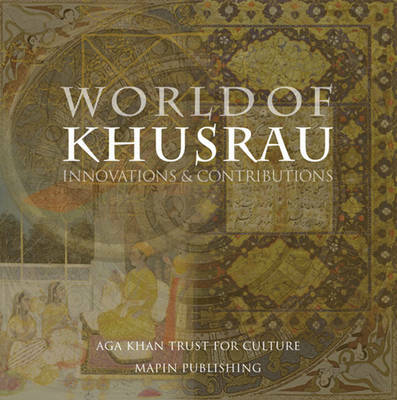 This volume is a product of Aalam-e-Khusrau project, which was initiated in 2010 by Aga Khan Trust for Culture with a grant from Ford Foundation. The programme's projects link the cultural and the social elements of the society with its built heritage and history in an integrated urban renewal programme. Born in Patiali, in present-day Uttar Pradesh, Amir Khusrau Dehlvi (12531325 AD) went on to create the largest and most versatile corpus of literature in the Persiante world of his time and of today. Khusrau studied and had an understanding of diverse knowledge -- from science and art, to religion. This lavishly illustrated volume exemplifies the innovations and contributions of Amir Khusrau with a vast array of rare manuscripts, objects and images from several collections. With diverse and insightful visual references, it fully expands his works as they contribute to the making and continuity of Indo-Islamic cultural heritage.